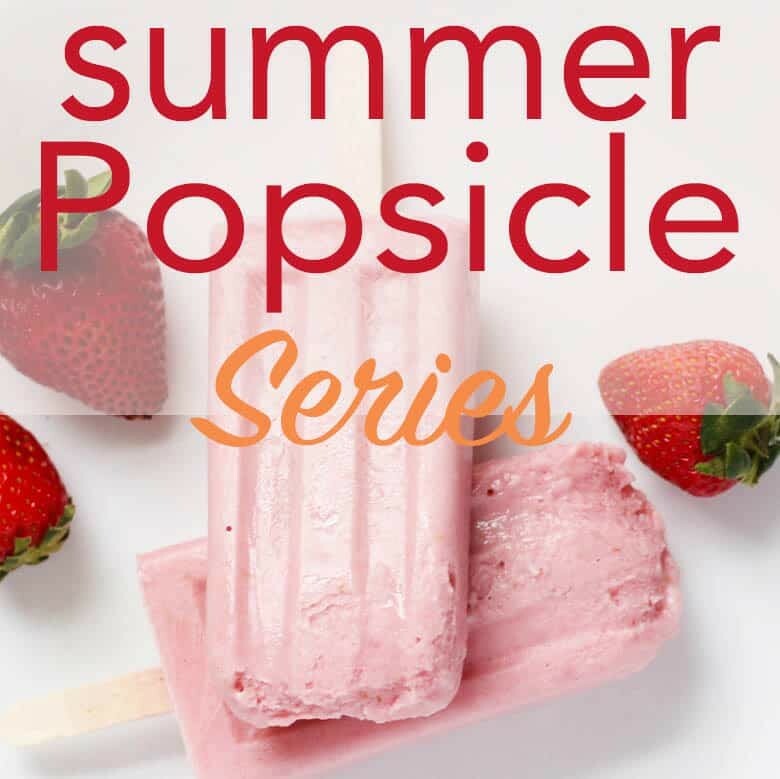 A popsicle recipe perfect for Summer or anytime of the year since they are Syn Free! 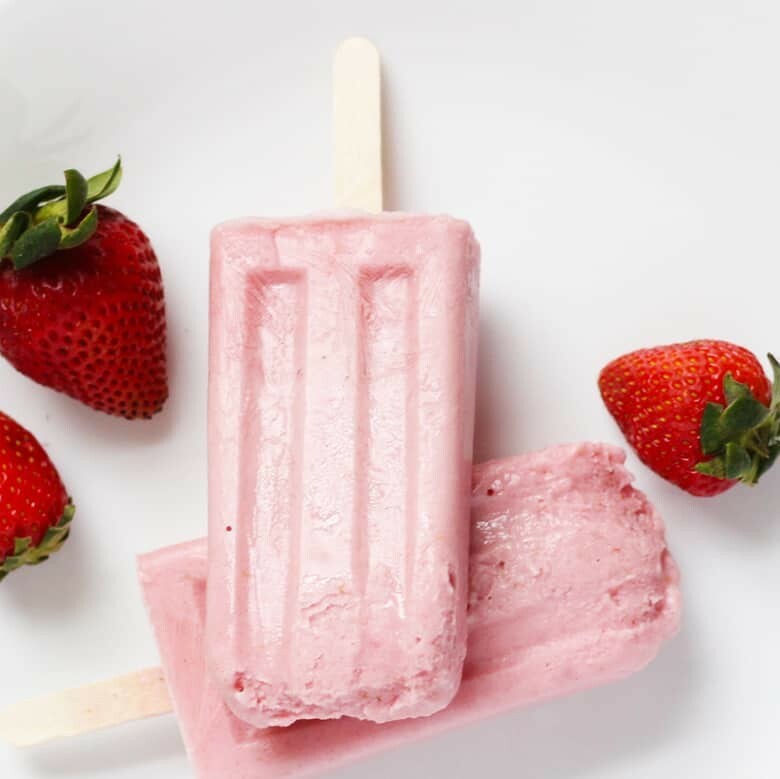 These healthy popsicles are creamy, sweet and only have 3 ingredients. A great clean food to feed the kiddos, you don’t even have to tell them they are healthy! If you live in Europe then chances are you already know about Slimming World and Syn Free foods. For the rest of us, it’s another tool to choose healthy foods. It is very popular across the pond because essentially nothing is off the table. It reminds me a lot of Weight Watchers because you can have treats. In Slimming World, treats are called Syns. What is Syn Free Food? There is a lot of free food, or Syn-Free food, that you can have unlimited portions of. These foods are nutrient dense and filling so as long as you are not trying to over-eat, you should be able to lose weight without the psychological pressure of being on a ‘diet’. It’s because of these Syn Free foods, you don’t get the feeling that you are being deprived. 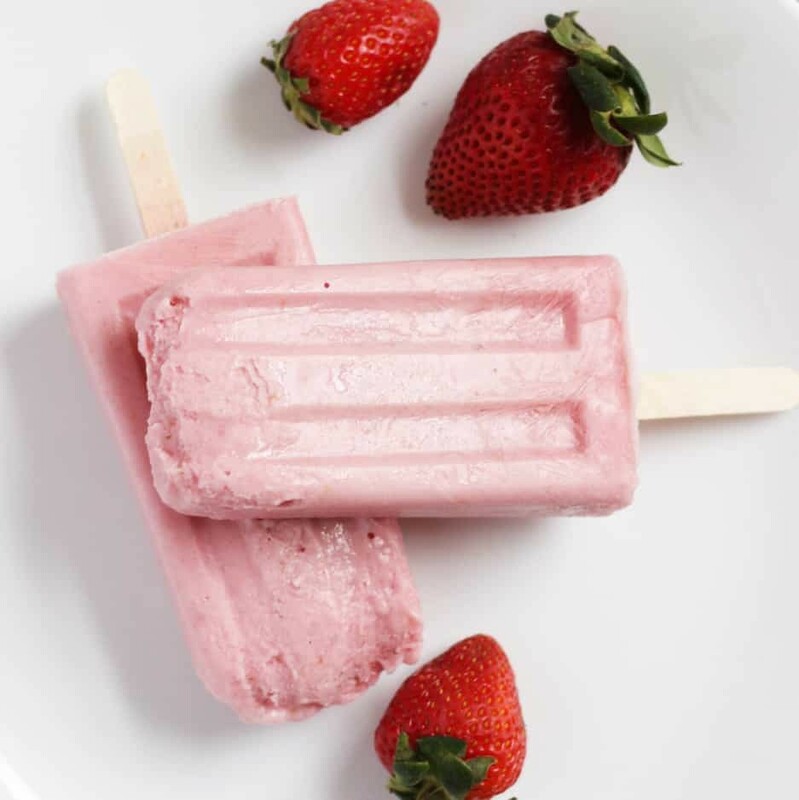 For popsicles, just about any fruit is Syn Free. If you want creamy popsicles you have choices of fat free yogurt or fat free/low fat (1%) cottage cheese. I have used both and both were fantastic! So give it a whirl! 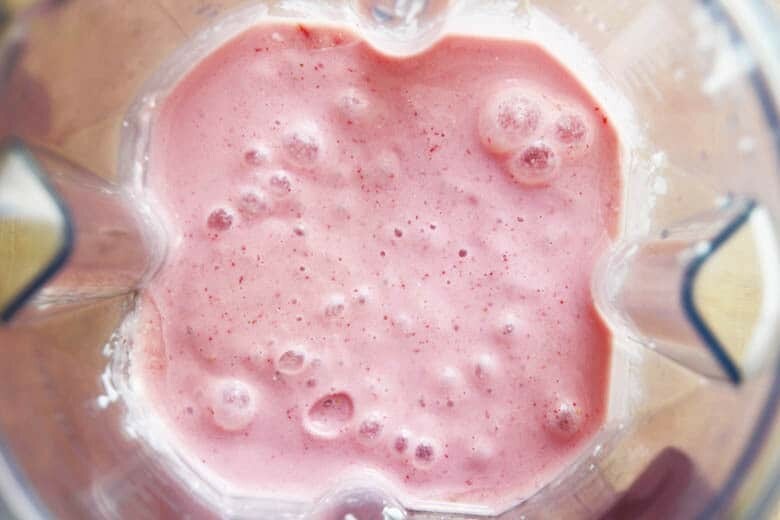 You can make Syn Free ice cream and popsicles simply by mixing Syn Free foods in a blender and freezing them. 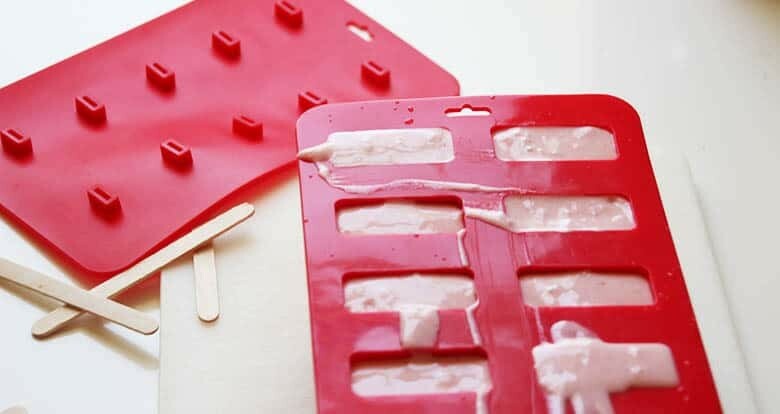 Freeze them in a popsicle mold for popsicles or a tub for ice cream. For ice cream you are going to want to rest the tub at room temp until it gets a bit softer. It will be easier to scoop and the ideal temp for tasting ice cream is at it’s melting point. Eating super cold ice cream actually numbs your taste buds and it won’d taste as sweet or rich. So give it a rest, then enjoy! I have been experimenting and to tell the truth, some popsicle recipes weren’t that good. Either the texture was off or the taste, or both. I did come up with one both my hubby and I both enjoy, strawberry banana popsicle with cottage cheese! No joke, this actually worked. The low fat (1%) cottage cheese gave it just the creaminess it needed to feel good on the tongue. The banana helps with this creamier texture too. All 3 ingredients are on the syn-free list. 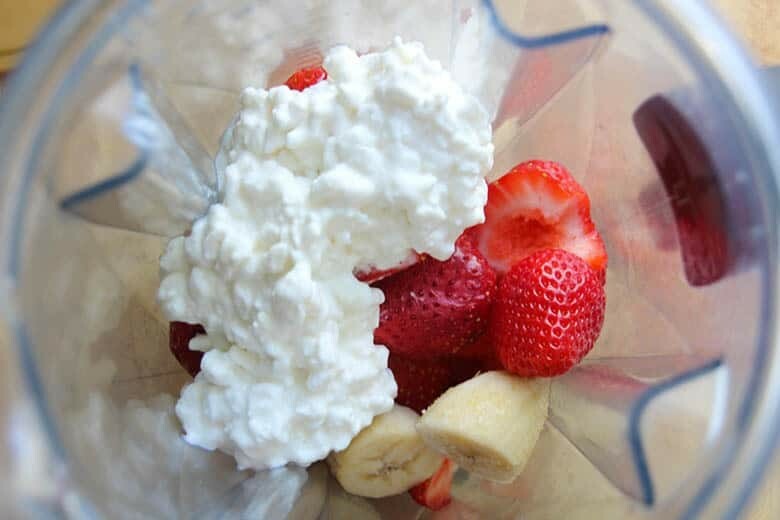 I did use a Vitamix 7500 Blender but I think you can break down the cottage cheese with a regular blender so that the mixture comes out smooth. You can add maple syrup, honey, simple syrup to make it extra sweet but then it wouldn’t be Syn Free. I didn’t think it needed any extra sweetness personally. 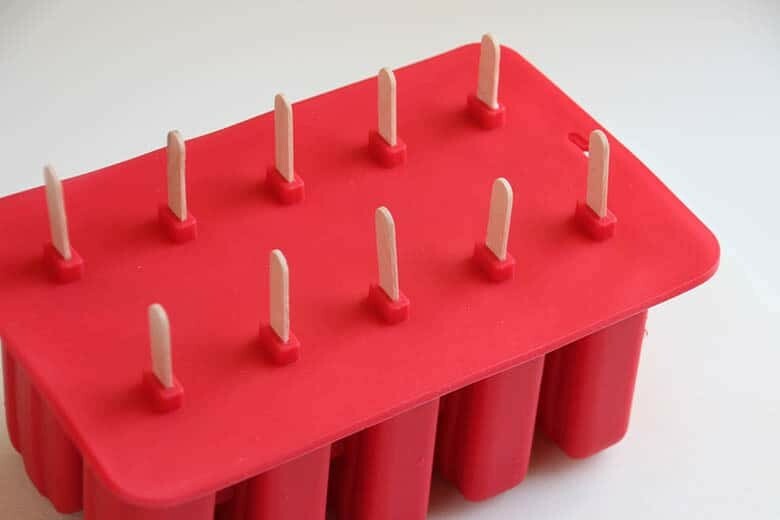 If you come up with a recipe of your own, please share in the comments below:) Happy popsicling this Summer! Those popsicles looks SUPREMELY creamy, and since our little one has fallen in love with popsicles I can feel good about making these for him. Thanks! Oooh yummy! I make a similar ice lolly, with cream and crushed meringue, not quite as SYN-free! haha! Homemade popsicles are seriously the easiest treat ever! this recipe looks amazing, can’t wait to try it! What a delicious, healthy, fantastic treat! How cute are those? I haven’t heard of syn free. Thanks for the lesson!